My husband had a function to attend in Connecticut this past weekend that he wanted to write about in his Cigar Blog. I decided that the five hour road trip there and back would be an excellent time to test our knowledge of the Beatles by asking each other questions from three different used Beatles quiz books that I picked up cheap at AbeBooks online. Here are my thoughts for each one. A hardcover spiral bound book with a book marker, this is the prettiest of the three books. But don’t judge a book by it’s cover, right? This book contains 100 separate 10 question multiple choice quizzes with the answers provided at the end of each quiz. The first question: What was the name of the very first band (actually a skiffle group) formed by John Lennon and his friend from childhood, Peter Shotton? A. The Jets B. The Black Jacks C. The Wanderers D. The Dockers. 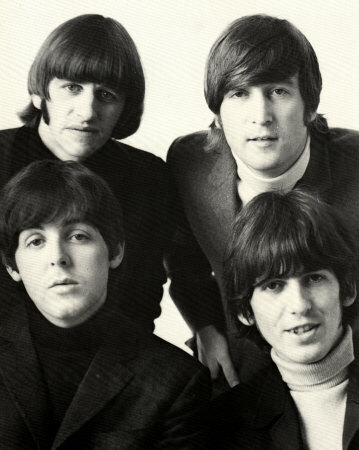 Second question: Born on the 7th July 1940, who was the oldest member of the final Beatles Line-up? A. George Harrison B. Ringo Starr C. Paul McCartney D. John Lennon. These particular questions make the book seem like an easy read, but there are some toughies mixed in for us mere mortals! Still, a fun book just to test you and your friends knowledge of the best band the world has ever known. A nice book with questions for all levels of expertise and non-experts. I read several pages of this to my husband while driving. After all I’ve read, I still think I did slightly better than 50% on the quiz questions. The first question: What’s Maxwell’s last name and what was he majoring in? Second question: Would the Beatles believe in love at first sight? The book also contains picture puzzles like guess which eyes or nose belong to which Beatle. There are word searches, crosswords and other type of puzzles including put events, albums or songs in their chronological order. All the answers are provided in the back of the book. A lot of fun built into this little book (91 pages of questions and puzzles). Wow! This book gave me a run for my money. Definitely a book for ‘the ultimate Beatles freak’. The first question in the book is: List the titles on the Beatles’ Decca audition tape penned by Lennon and McCartney. I can’t tell you how many times I’ve read about the Fab Four’s Decca audition, but never did it occur to me that someday, someone would ask me what songs were on the tape! The second question: Issued nearly twenty years apart, which U.S. Beatles singles feature “I’m Happy Just To Dance With You” as their B-side?. Uh…. (insert cricket noises here). If you know the answers to these questions, I never want to want to play Trivial Pursuit Beatles Edition with you! 🙂 All the answers are at the end of each of the 50 chapters. Any of these books would be fun to pick up cheaply online or at a used book sale just to have around to either test your own knowledge or to pass around and play with friends. It’s like playing Beatles’ Trivial Pursuit without having to collect little pie pieces or throw dice. Hmm. With regards to “The Beatles Quiz Book,” none of the Beatles was born in 1950. And wasn’t John’s first group the Quarrymen? Do the quizzes provide a “none of the above” choice? If not, Eric Saunders got his own facts wrong. Or, did I? Lovely review. Did you forget the stars? Your posting reminds of the harsh and relentless critique some authors get from fan and reviewers, when they have trivial facts wrong. I bet there are only a few fans who may score consistently above 80-90%.